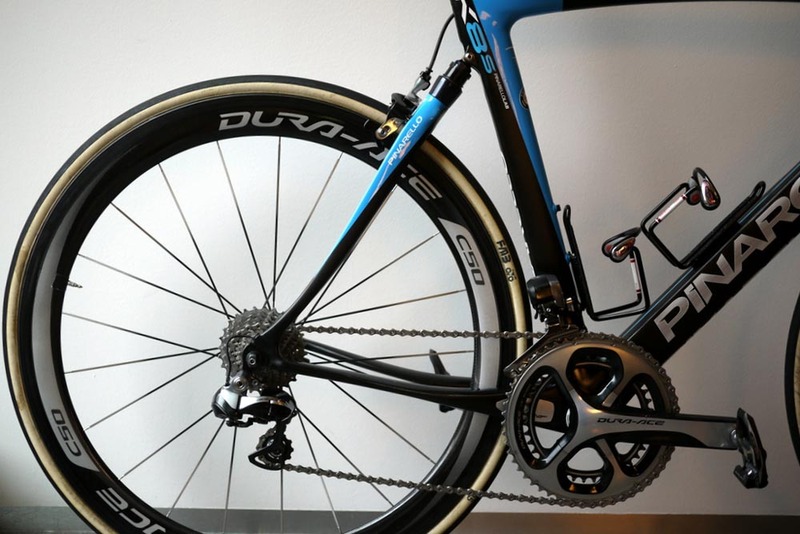 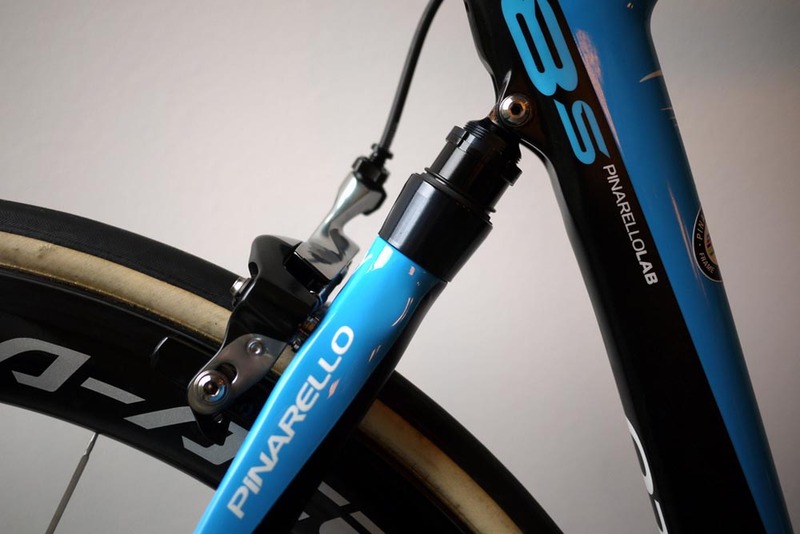 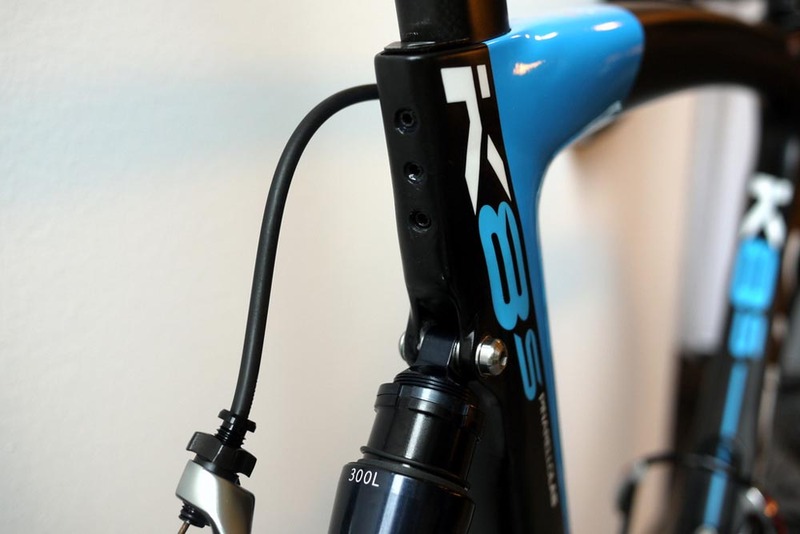 We got hold of Bernhard Eisel’s Team Sky Pinarello Dogma K8-S ‘cobble bike’ to take a closer look at the controversial suspension machine that the British squad will be using during Sunday’s Tour of Flanders. 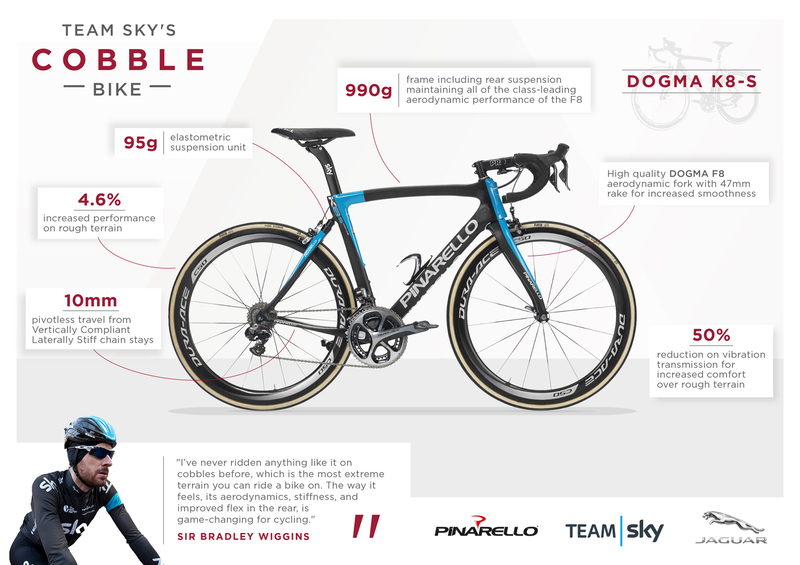 Sky captain Eisel and the rest of the Flanders squad, including on-form Geraint Thomas, Ian Stannard and Bradley Wiggins, will be piloting the new carbon-fibre Dogma K8-S, which has been designed in conjunction with motor manufacturer Jaguar to smooth out the rough cobbles along the route to improve rider comfort and power output. 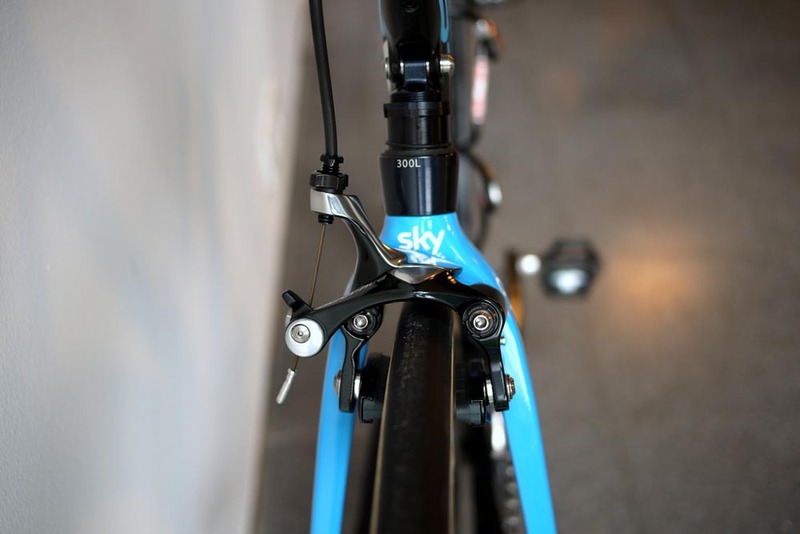 According to the team, the frame still weighs in under the magic 1kg mark despite featuring a small elastomer suspension unit at the top of the wishbone seat stays that gives 1cm of rear wheel movement to take the buzz out of the road. 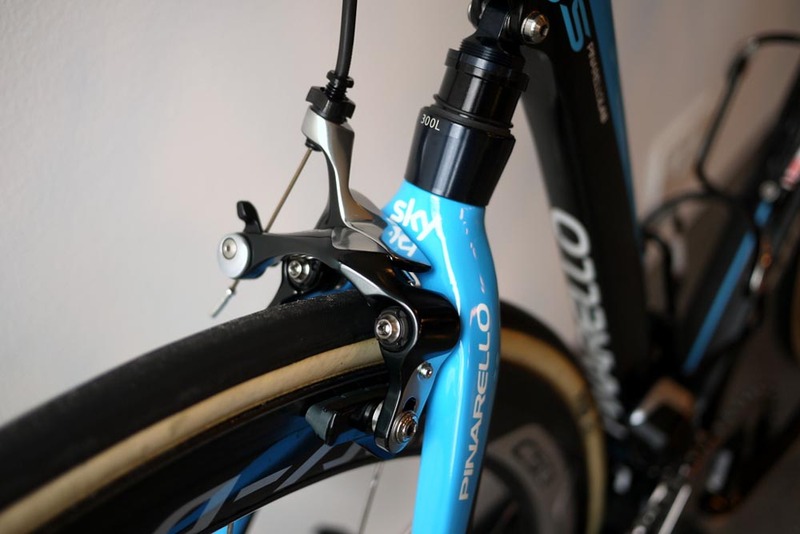 Pinarello and Jaguar say that tests have shown a not-so-marginal-gain of 4.6 per cent increase in performance over rough terrain compared to the squad’s regular Dogma F8.